Thanks to the excellent Richard Wiseman, I was recently able to sit back, relax and enjoy the 1967 Albi F2 race in its entirety. And I mean entirety. The French TV coverage begins with Jim Clark and Jochen Rindt chatting pre-race, takes in the complete drivers’ briefing (translated in situ by Jabby Crombac, the co-promoter) and then takes us through every lap of the race. I’ve always been interested in the Albi event for the simple reason that it took place only two weeks after the Italian GP that year – and that Jim Clark’s drive at Monza unquestionably rates as one of his greatest. If you want a modern parallel, it would be Sebastian Vettel racing an FIA F2 car at, say, Paul Ricard ten days after his drive up to third place in the this year’s Abu Dhabi Grand Prix. I always wondered whether the whole thing would have been anti-climactic for Jim or whether Monza would have been quickly confined to history when Albi loomed fresh and clear. As it happens, Jim appears to be usual, brilliant self throughout the race coverage. He jokes in the pre-race assembly area with Jack Brabham: “C’mon Jack, we’re not at Monza now”; and he wanders down to chat to Piers Courage and Jean-Pierre Beltoise. Again he’s all smiles. And then he drives beautifully, of course. Quickest in practice on Friday but unable to improve his time on Saturday, he starts second in his Team Lotus 48. His biggest handicap, obviously, are his Firestones: Jackie Stewart, in Ken Tyrrell’s Dunlop R7-shod Matra is in a class of his own and wins easily from the pole. On the grid, Stewart is the only driver I could see who needed to strapped into his cockpit (just shoulder and lap belts; no crutch strap). All the others just slid into their bolides and went racing. No belts. We see the start procedure of the legendary “Toto” Roche in all its slapstick. He warns the drivers beforehand that he will drop the flag any time after the five-second board – and this he does, with semi-chaotic results. I think it’s Graham Hill, in the other works Lotus 48, who almost gives Toto an aerial view of the proceedings. Impressive is the early-lap pace of the English privateer, Robin Widdows; and glorious is the pass that takes Jackie Stewart into the lead from Jochen Rindt. Stewart, Rindt, Clark and Brabham: the large French crowd, luxuriating in late-summer sunshine, saw race driving at its highest level. Were any of those Names afraid or ashamed of being beaten by lesser names in a relatively minor F2 race? Not at all. They just wanted to go motor racing. It was what they did. I mentioned all this to Brian Redman the other day. Brian finished a typically-classy sixth at Albi (behind Stewart, Rindt, Clark, Jacky Ickx in the second Tyrrell Matra, and Chris Irwin in John Surtees’ Lola) and thus underlined all the promise that would land him an F1 drive for 1968. Brian actually had to qualify his maroon David Bridges Lola for Albi – and did so comfortably, of course, lapping only a shade slower than Ickx and matching Piers in the John Coombs McLaren M4A. Plans went wrong at the beginning of ’67, when told father I was going racing, he wished me luck – and said: if it doesn’t work out, sorry, but you can’t come back! One week later, David Bridges rang and said: “sorry Spud, but we can’t get that new Brabham, or them Cosworth FVAs” ! So we started with an old Brabham and a bored and stroked Cosworth SCA that David had lying around. 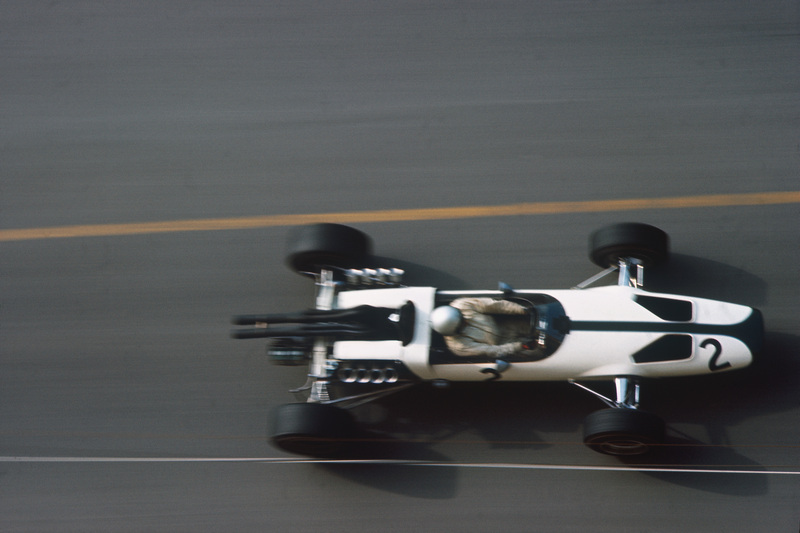 Surtees came to us later and offered to sell a new Lola T100 – with two FVAs ……things went somewhat better after that! Best race was Crystal Palace F2, 1968, just before Cooper accident. Pole position and 2nd to Rindt in race. Talking of Albi F2 in 1967, Chris Irwin asked if I’d like to fly back with him to the UK. Beautiful flight across La Belle France. Now, over the English Channel, low cloud, couldn’t see your hand in front of your face. 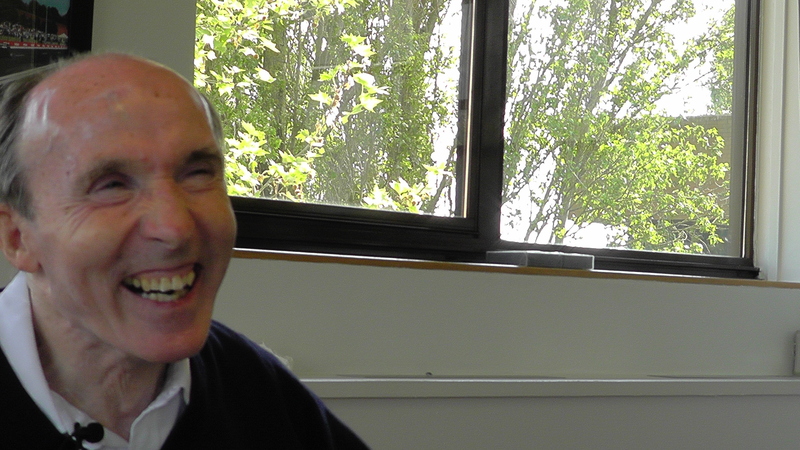 Feeling nervous, asked Chris if he was trained for instrument navigation: “err, actually, no….but I know how it works”. Even more nervous.The ‘plane is moving around quite a bit, just as Chris finished talking – the engine stopped! Never before or since, have I felt my heart give such a mighty leap! Frantic examination of the instruments, showed it had run out of fuel! Even more frantic twisting and pulling of things, the wing-tip tanks are turned on – and the engine starts again! 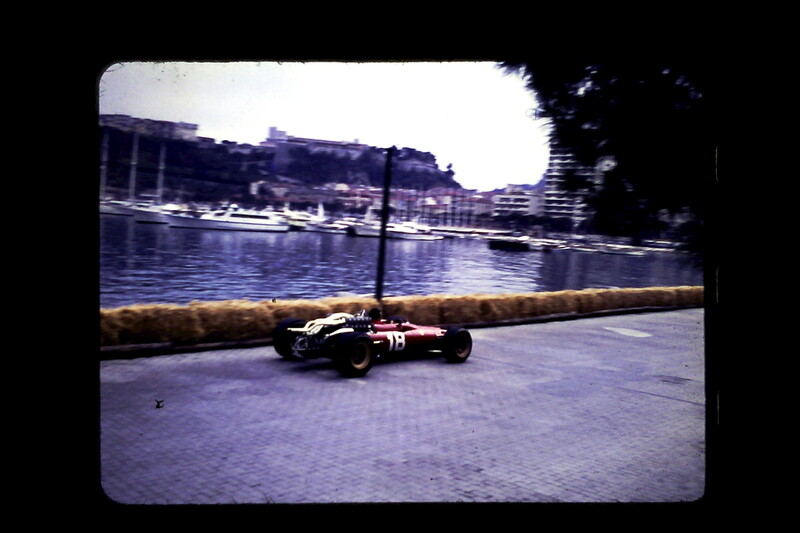 I see that another couple of DVDs have just arrived in the post – Monaco, 1963 and the Le Mans F2 race, 1966. 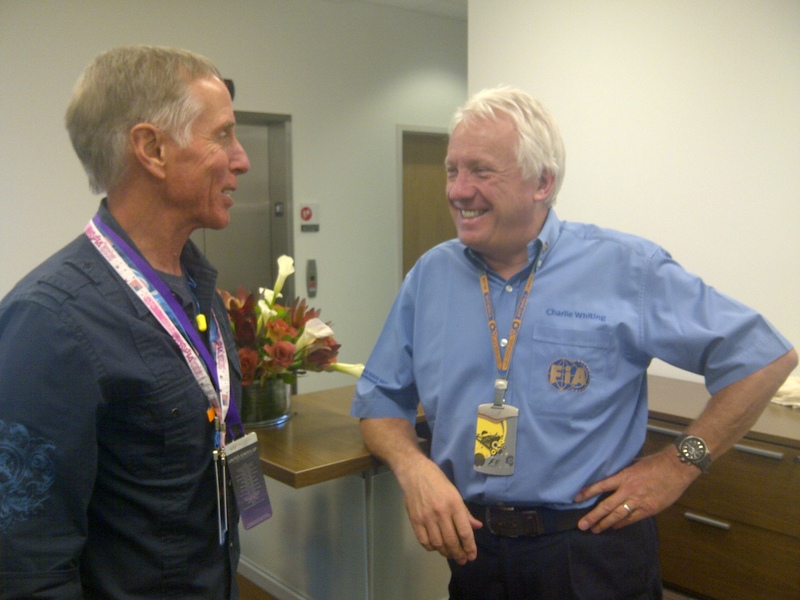 I spoke recently to the FIA’s F1 Race Director, Charlie Whiting. What does he think about the new engine regs for 2014? And what, indeed, does he think about the F1 life? I find Charlie Whiting in his second home – in the office at any given Race Control building in any given F1 track of the world that bears the title, “Race Director”. We happen, on this occasion, to be in Austin, Texas, where the new Hermann Tilke-finished Circuit of Americas is undergoing its baptism by fire. And this is about the only time of the weekend when Charlie has a moment or two in which to chat. It is the lull after qualifying on Saturday. The F1 cars are in Parc Ferme conditions (under wraps in the team garages). And, baring the odd technical political or technical crisis or two (or three), Charlie can relax just a little, exhale some air and think about…the racing life. “You’ve been in motor racing for quite a long time,” I say to the man whose silver hair speaks of 40-or-so years in the business but whose body is still that of the ever-young F1 professional. He wears a neatly-pressed light blue, short-sleeved FIA shirt against dark blue slacks. And his room for the week, as ever, is Spartan. A desk, a table with a couple of chairs. A laptop (fed by just-for-the-weekend 100-plus mgb speeds). The inevitable briefcase. No family snaps in leather frames. No mascots. Continuing the theme of finding the racer behind the top-line FIA official, I ask Charlie about his early years. How did it all start? “Through my brother, Nick” (who was a successful saloon car racer in the 1970s). 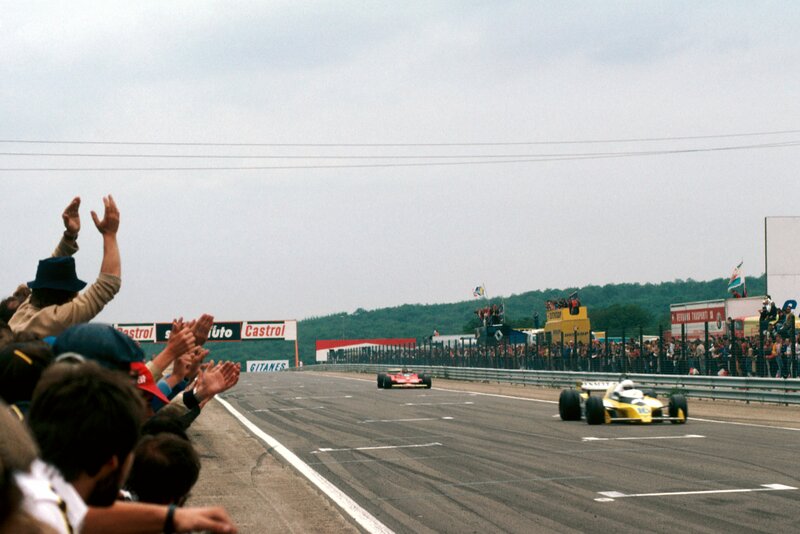 “We did a deal with John Webb at Brands Hatch, who was trying to help Divina Galica into motor racing in 1976. With Shell sponsorship, we – Nick and I – acquired a Surtees TS16. I prepared it and Divina drove it in the Aurora Championship. We bought a TS19 for the following year, and then Divina took Olympus sponsorship into F1 with Hesketh in 1978. I went with her, and worked for Hesketh, but things didn’t go particularly well that year unfortunately and it all ended after the Belgian GP. 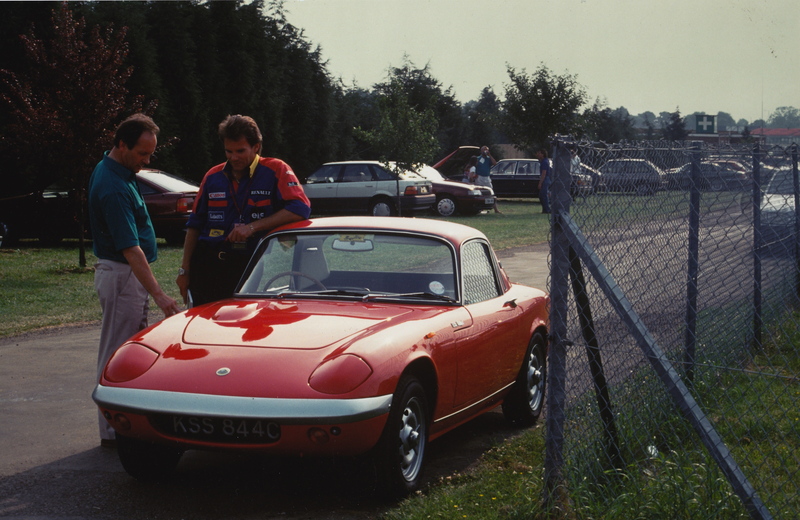 I then got a job at Brabham through Herbie – on the test team with the BT46-Alfa, which was a lovely car, as I say. I did one test and then for some reason I was on the race team for the French GP. I stayed there. Nelson Piquet came along in 1979 and made the team his own, really. It was an amazing time. 1981 was an interesting year, of course. Carlos Reutemann lost the Championship by one point but was stripped of a nine-point win (scored in the opening round in South Africa) a couple of months into the year when it was decided (for “political” reasons) to strip the race of its championship status. Then there was the mysterious, larger rear wing fitted to Nelson Piquet’s Brabham after qualifying at Monaco (but before the weight check!) and the brilliantly-conceived, valve-operated Brabham ride height control system. In a nutshell, the system was fully legal and enabled Brabham to dominate the early rounds of the season (give or take a wrong tyre choice in Brazil). For Zolder, though, the FIA legalised a much more basic lever-adjustment system that brought all the other F1 teams back into contention. One imagines that such about-faces – and creativity – merely added to the graduate education of Charles Whiting. “Monaco 81? Qualifying?” asks Charlie with a smile. “I’m not sure what you mean… Now the ride height – that was something. It was a fiendishly clever system that was 100 per cent legal and which no-one could understand. I remember Gerard Ducarouge” (the Ligier designer) “trying to wriggle his way down the cockpit to find the lever that moved it up and down. There was nothing there! It was all valve-operated, orifice-controlled. The problem is that the suspension took a long time to come back up. It was also a bit complicated, with lots of pipes and things that could have fallen off. Which segways us neatly back to 2012. I ask Charlie about the quality of talent in the F1 pit lane – about whom he most respects. What is the most enjoyable part of his weekend? “Living very closely to Brands Hatch when I was growing up, I only went to Silverstone three or four times until I became involved in F1. Today, they’ve done an enormous amount of very good work at Silverstone. The track is now one of the nicest we’ve got. It’s not like a really modern circuit, where we have asphalt run-offs and all the latest gadgets, so it’s still got a good feel about it. It’s a proper racing circuit. Obviously they’ve had to make improvements to bring safety up to a required standard but they’ve still got that standard of a real race track, I think. And there are fewer and fewer of those on the calendar. I wonder, too, at Charlie’s fitness and general energy. Walks aside, you suspect, it’s that 100 per cent, start-line adrenalin that so successfully has made, and makes, Charlie Whiting the FIA’s F1 Race Director: he’s a Racer out there marshalling the Racers, second-guessing them, applying his years of ups and downs and not a little native cunning to prepare yet again for maybe what they’re going to think of next. See the legacy you have left behind? Lorenzo, you told me once that you felt you were born unlucky. Of course you were right, with the benefit of hindsight, but in your 31 years you became a great man with your modesty, your determination and your enthusiasm for a sport you loved more than anything in the world; and you have left for us an indelible memory. I would not of speak of bad luck, therefore. I’m still here, aged 74. I have known the great loves of two wonderful men – you and our son. I’ve known great pain and great joy, but above all thanks to both of you. At the House of Lords reception for Sir Frank Williams on November 28 plenty of people paid fitting tribute the great man. He is “passionate” about his chosen profession. He is “a true ambassador” of British motor sport. “His dedication knows no bounds”. What do those words really mean, however? What is their context? What lies behind them? I thought the following extract from a February, 1971, edition of Autosport might add a little texture to today’s image of Sir Frank Williams. It is the Formula 2 Temporada series in South America (Bogota, Colombia, to be precise). F1 drivers like Graham Hill, Henri Pescarolo and Jo Siffert are competing. And everyone, as ever, is right on the limit…. “For some, the four clear days between races provided time to relax,” wrote Paul Watson. “but for others there had been little time for enjoyment. Immediately following the first Colombian GP, Frank Williams had hot-footed it back to England, carrying with him the two March chassis as hand baggage (!) and with an order list from other drivers as long as your arm. “Williams, who has a reputation for getting things done smartly, was on March’s doorstep by Tuesday morning and back on a plane for Bogota by Wednesday so that he arrived back in Colombia by Thursday night, much to Derek Bell’s astonishment! The two March chassis had been repaired and strengthened where they were broken, this being where the front of the monocoque joins the bulkhead. As the Bogota series was very much a development programme for Williams, he had fitted aluminium braces to the top and bottom of Pescarolo’s bulkhead while Bell’s had been left without, to find out whether any permanent additional strength will be needed for future races. 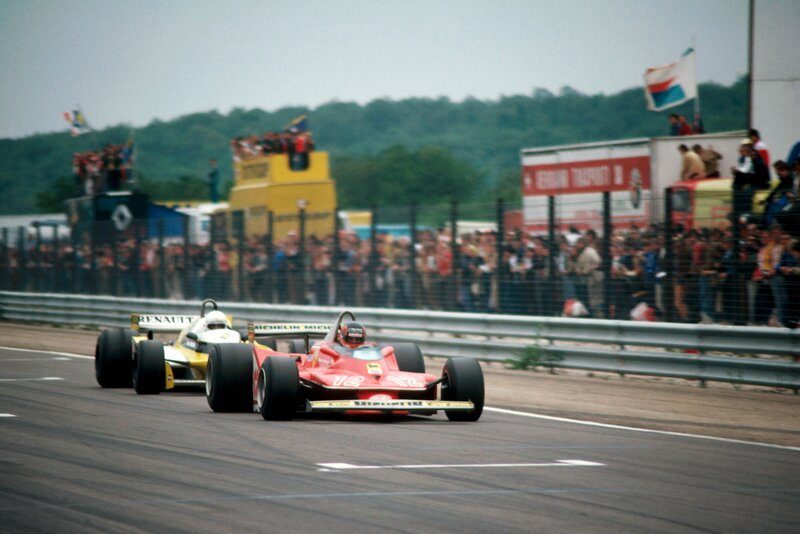 For the record, Frank’s two March 712Ms qualified third (Stommelen) and ninth (Bell) and finished second and third in the race (in that order). Just another weekend in the life of the racer that is Sir Frank.